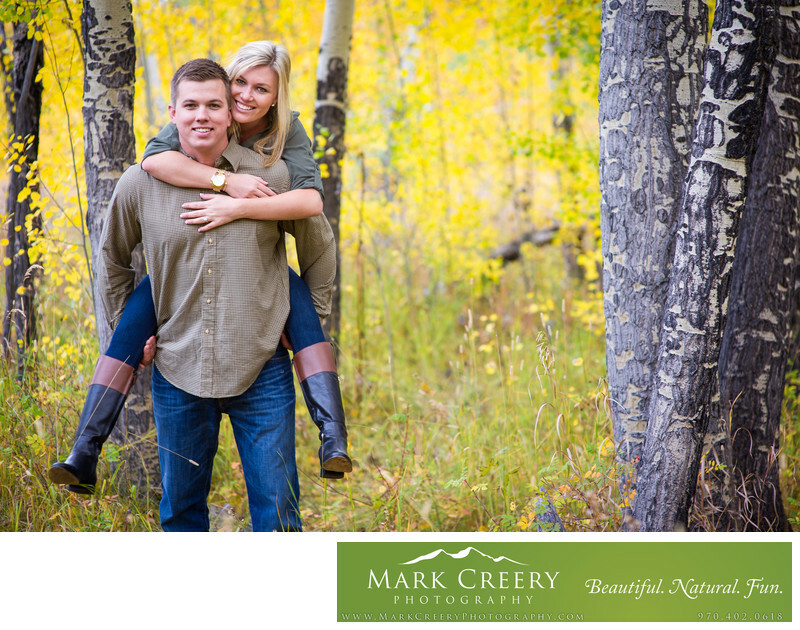 If you're looking to capture the beauty of aspen leaves in the Fall for your engagement photography in Estes Park, check out Mark Creery Photography who excels at outdoor engagements and weddings. Mark knows the Estes Park area well and can time your session and locations for the peak of the changing aspen leaves colors, which can be a short period of time depending on the weather. The aspens can be any shade of yellow, orange or red and almost glow in the Colorado sun. Mark loves vibrant colors so he loves this time of year and capturing a couple's fun-loving, adventurous personalities while still showing off the scenery that Estes Park has to offer.